Amazon Cognito lets you add user sign-up and sign-in and access control to your web and mobile apps quickly and easily. It scales to millions of users, and supports sign-in with social identity providers such as Facebook, Google, and Amazon, and enterprise identity providers via SAML 2.0. "Easy to handle and secured sign up tool"
AWS cognito helps you manage and add user sign in and sign up to your mobile apps with much ease and you can spend your valuable time on creating the main content whereas the part of sign up module is handled by cognito.It is a great service from aws which helps you save your time.Not only it is simple but also secured.The authentication of the users is done securely and also the privacy concerns are taken care of.Also users can use their social profiles like facebook and google to sign in or sign up to your app.It will showcase you a full directory of users where you can manage your users easily.And also it is scalable so it is a great tool from aws. I have used most of the services from aws for different usages and cognito serves best for authentication and user sign up's so nothing to dislike about it. I recommend using amazon cognito for developing user login and sign up modules which are fool proof and do take in consideration the privacy of individual users.Also the management console helps you manage all your users directly.Also it allows login through facebook,google and other social profiles which is totally handled by cognito so it is definitely recommended tool to have when you want authentication services for your webapp or webservice. I have been using aws services since 2-3 years since I joined skytechnologies.We develop websites,web apps and web services for our clients.We use amazon aws for all cloud requirements for our projects.Out web apps and web services mostly are using aws resources and I have been using aws cognito for all such web apps and services which require authentication or user sign ups to be handled.It has served good till now. "Amazon cognito allows user management for your mobile applications, allows you to do it in an easy "
Amazon Cognito is a broad and complete platform when resltar what I like most of this would consider that the best thing is to make the services can be used without access to internet which is something that is sought with many programs and few they have and is one of the biggest advantages, additionally allows to create ways to have a wide security in what relates to passwords and difficulty when hacking an account if it is the case, so you can be sure having information here. Among what I do not like about this Amazon Cognito platform are its menu, that is, the options that are usually counted are not the best, in addition to be able to use the platform with its best tools, it is necessary to make a payment even though the initial registration does not generate an additional cost. As a recommendation, it could give them a thorough knowledge of the platform and if they have the possibility to pay for their services because it is quite useful, it is an excellent platform that can be used 100%. What Customer Identity and Access Management solution do you use? "Fácil de usar y muy seguro"
AWS Cognito lo ayuda a administrar y agregar el inicio de sesión de usuario y registrarse en sus aplicaciones móviles con mucha facilidad y puede pasar su valioso tiempo creando el contenido principal mientras que la parte del módulo de registro es manejada por cognito. Es un gran servicio de AWS lo ayuda a ahorrar tiempo. No solo es simple sino también seguro. La autenticación de los usuarios se realiza de forma segura y también se ocupan de las cuestiones de privacidad. También los usuarios pueden usar sus perfiles sociales como Facebook y Google para iniciar sesión o regístrate en tu aplicación. Te mostrará un directorio completo de usuarios donde puedes administrar fácilmente a tus usuarios. Y también es escalable, por lo que es una gran herramienta de AWS. He utilizado la mayoría de los servicios de AWS para diferentes usos y Cognito sirve mejor para autenticación y registros de usuarios, por lo que no hay nada que les desagrade. Recomiendo usar Amazon Cognito para desarrollar el inicio de sesión de usuario y registrar módulos que sean infalibles y que tengan en cuenta la privacidad de los usuarios individuales. Además, la consola de administración lo ayuda a administrar directamente a todos sus usuarios. También permite iniciar sesión a través de Facebook, Google y otros perfiles sociales totalmente manejados por cognito, por lo que definitivamente es una herramienta recomendada para cuando desee servicios de autenticación para su aplicación web o servicio web. He estado usando los servicios de AWS desde hace dos o tres años,que fue cuando entré en mi empresa. Desarrollamos sitios web, aplicaciones web y servicios web para nuestros clientes. 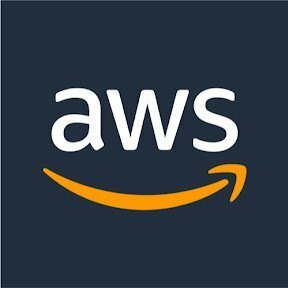 Utilizamos Amazon AWS para todos los requisitos de la nube para nuestros proyectos. Casi todas las aplicaciones web y servicios web están usando los recursos de AWS y he estado utilizando AWS Cognito para todas las aplicaciones y servicios web que requieren autenticación o registros de usuario para ser manejados. Ha servido bien hasta ahora. "Hard to use. Don't like the documentation"
It provides our workers with security in the information we have, regardless of where we connect, be it the telephone or the computer, the most important thing for the company is to keep their information safe, and that is what this tool provides. The steps to use AWS sometimes tend to be cumbersome and complicated for some users. It really helps me access control to my web and mobile apps quickly and easily. The Amazon ecosystem is a little overwhelming, i dont need the other things. Definitely get it. It is truly amazing and will help you implement your apps much much better. It really helps me access control to my web and mobile apps quickly and easily. I don't know what I would do without it. responds well and is cost effective to use. user pool identity provider documentation is very thin. WE struggled to get it to work. The docs seemed to explain that you could add multiple identity providers and have them connect to a single cognito account but it doesn't seem to actually work that way. We ended up using an identity pool and IAM roles and consolidating federated users with internal acounts on our own. "Simple design and it works"
The code running in the background is not complicated at all. Keeps things simple and working as they should. Not very customization in terms of its service offerings/value-adds. Offer safe authentication management for our users with minimal effort on our end. "I used it for several projects and was not impressed with the documentation." It works? I don't have much good to say. If your working in the amazon ecosystem, it works, but its not great. Creating user accounts for Alexa customers. Simplicity in having one place to authenticate and authorize application users. Would be great to have boto3 connectivity for Python. handles all the login stuff based on all the standards and is serverless! Very vast with unclear documentation. Stackoverflow is the best place for help - do not bother with AWS forums. "It's great for simple authentication "
If you need simple authentication it's great. Makes life easy. If you need more complex setup or are integrating user password reset and other user management it's a pain. Especially when on a api only saas. It's not as easy as advertised. Simple user authentication for some auxiliary support products. "It’s amazing! User friendly "
Easy to use and very reliable. Though this has been the only product we have used we really like it and do not plan on switching. We really like this product. I would highly recommend it there isn’t anything in specific that we dislike. The easy to use options. It’s makes persons who not use to using the software be able to maneuver it with ease. There’s not really to dislike because it meets all my company’s need. "Has potential but not prime time ready"
Simplifies user/identity management and gives additional capabilities such as social logins. Currently there is no backup/restore capability. login management is not a core competency of ours so it is great to not have code/logic around that. "Authentication made easy for your app "
How easy it is to start using it. The CLI is awesome! "The best IAM for apps"
"Amazon Cognito keeps you incognito"
Amazon Cognito authorizes, authenticates, and provides user management for both mobile and web apps. It can be a little confusing to use at times. It'll get the job done! Amazon Cognito provides higher security for our business. Easy to integrate with and configure. Very conviniet. We don't have to manage users and passwords on our own. Cognito takes care of everything. "nice to have a service that handles Auth"
* We monitor all Amazon Cognito reviews to prevent fraudulent reviews and keep review quality high. We do not post reviews by company employees or direct competitors. Validated reviews require the user to submit a screenshot of the product containing their user ID, in order to verify a user is an actual user of the product. Hi there! Are you looking to implement a solution like Amazon Cognito?